WE WILL BE OPENING UP OUR URBAN AND WOODS FIELD APRIL 20th OUR AIRBALL FIELD IS UNDER GOING SOME MAJOR IMPROVEMENTS SO STAY TUNED! Team Practices are $20.00 per person includes all day air. BYOP or pruchase from our Pro Stop at Team discount. We at Birch Hill Paintball strive to bring each and every player, from the novice to the pro, a very unique and enjoyable paintball experience. We have worked diligently to provide a variety of fields while still keeping a very modest price range for playing. It is our goal to provide the best in tournament play and long lasting memories for every tournament/rec player that visits our facility. 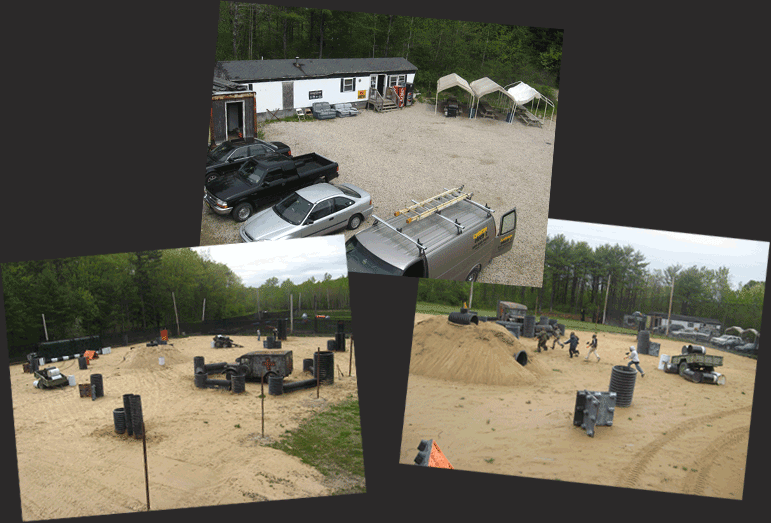 We've hosted events as large as the New England Paintball League to Bachelor and Birthday parties. Let us make your corporate outing or father-son weekend a time that you will never forget. Birch Hill Paintball is open regularly on Saturday's and Sundays from 10:00am - 4:00pm. We offer rentals, group rates, multiple fiields ranging from woods, urban, and airfield. Birch Hill Paintball Field Waiver!